Chef Jose Garces is in his outdoor kitchen making salmorejo—a cold Spanish soup similar to gazpacho. He adds bright yellow tomatoes to the food processor along with garlic, vinegar and baguette pieces. “A few years ago,” he says, “I would’ve made this with tomatoes from Mexico.” This afternoon, the tomatoes are from a very local source—Garces’ backyard, which doubles as a farm. This is the first full season for the 40-acre Luna Farm in Ottsville, which is named in honor of the Garces family dog as well as the brilliant nightscapes the property offers. The nearly 100 varieties of herbs and vegetables are organically grown for the Garces company restaurants—most specifically Philadelphia’s JG Domestic, which focuses on using local ingredients. 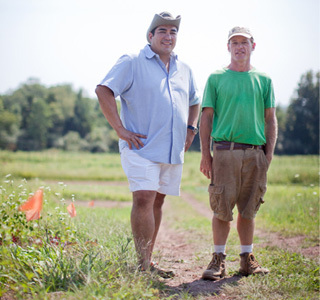 But Garces isn’t the only, or first, Philadelphia chef to delve into farming. Mitch Prensky, owner and chef of Supper, is in his third year working with Blue Elephant Farm in Newtown Square, which grows solely for his restaurant and catering company. Last February, Andrea Rossi began cultivating in Orwigsburg on his farm, Grateful Acres. This spring, Rossi launched a Community Supported Agriculture (CSA) program through his restaurant C19. For these three chefs, the farms are creative challenges—they require money, planning, and of course, physical labor. At their restaurants, these chefs are no longer just cooking, they’re developing innovative models for combining the farm and the table. 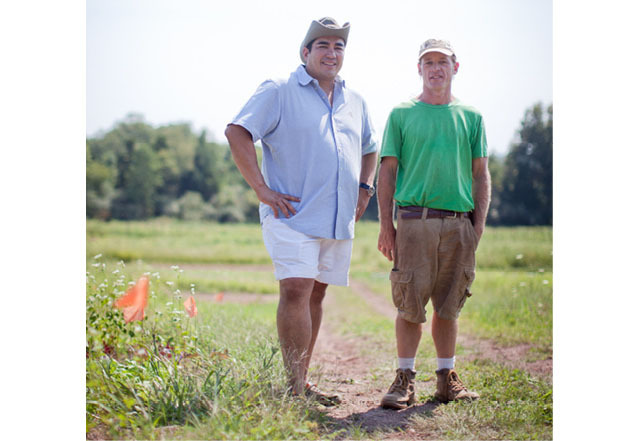 Jose Garces and farmer Alex McCracken at Luna Farm.FOR GARCES, the decision to start a farm happened almost by accident. While looking for a family home outside the city, he discovered that many properties included farmland. “We just started thinking, ‘Wow, it would be great if we could ship in our own stuff,’” says Garces. In 2010, he purchased the property, and by summer 2011 he was working with Alex McCracken to develop the land. While McCracken had never farmed on this scale before, he has extensive experience gardening. He and his wife live on a nearby 16-acre property and own the Turnip Truck, a business that designs, installs and maintains organic gardens for homeowners. When McCracken heard that Garces was looking for a farmer, he sent in his résumé. That, plus a recommendation from another local grower, landed him the position. In this first year, McCracken and Garces are experimenting—looking to see what flourishes both at the farm and in the restaurants. 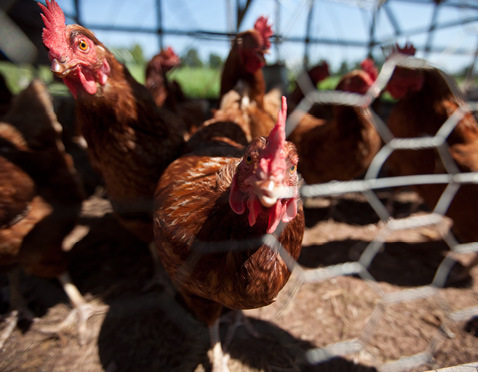 In addition to vegetables, the organic farm is growing mushrooms and raising chickens and bees. Garces is also considering goats, either for meat or milk. The farm’s tractor runs on biodiesel fuel from the restaurants’ fryer oil, which is picked up and processed by Bucks County Freedom Fuel. And there’s talk of adding solar panels to the movable chicken coop to provide energy for the greenhouse and the barn. This winter, the greenhouse will be supplemented by hoop houses, which in August already had tomatoes, peppers and eggplant. Mitch Prensky, owner and chef at Supper, with a recent harvest from Blue Elephant Farm. “Somebody said to me, ‘Oh you’re a farm-to-table restaurant,’” recalls Prensky. “It’s the first time I’ve ever heard that expression. So, if you’re going to call me something, at least I should know what it is.” Eventually, Prensky connected with the owners of Blue Elephant Farm, a privately owned, 75-acre property in Newton Square. At the time, the owners were growing for themselves and family members. Prensky started working with the estate manager Mary Butler, a horticulturist, to grow vegetables for Supper. “[The] first season, I pulled every vegetable out of the ground myself,” says Prensky, who works alongside Butler. “There is a lot of sweat and toil involved, and not a lot of [financial] return.” Today, the farm provides 100 percent of the produce at Supper and at the Global Dish—Prensky’s catering company. Blue Elephant raises chickens, sheep, goats, llamas, horses and donkeys, and there are plans to have a grass-fed beef program next year. A local beekeeper has hives on the property. Their greenhouse grows greens, lettuces and herbs year-round, and thanks to cold storage, diners will see plenty of root vegetables on the winter menu. This fall, Prensky and Blue Elephant even canned their first line of products and preserves to be sold at Supper. So, Rossi expressed interest in finding space to start his own farm, and Archambault mentioned there were a few acres adjacent to his backyard in Orwigsburg. In 2011, Rossi officially hired Archambault to be the farmer. This summer, C19 offered a CSA for the farm and had four restaurants and six individuals participate. “We just wanted to start very small because the first year there’s a lot of difficulties,” says Rossi. 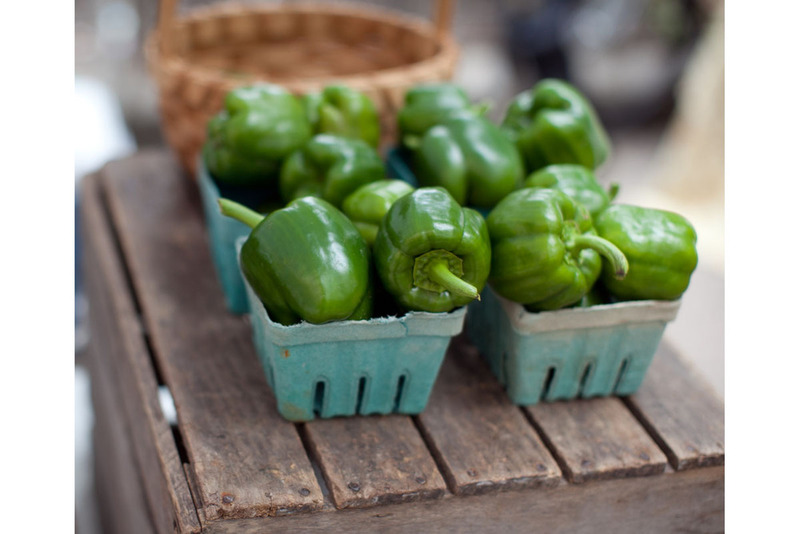 The season has so far been successful, and produce from Grateful Acres can be found on the restaurant menu as well as at the Rittenhouse Farmers Market each Saturday.